Stockpiling for Baby With or Without a Baby! It could be the result of a growing desire for sustainability or preparedness. Maybe it took one stressful commute too many. Regardless of the reason, the appeal of an off-grid homestead is undeniable to many. It’s possible to make this dream a reality once you know what to look for when finding land for your off-grid homestead. An off-grid homestead is a goal of sustainability fans and people who just want a simpler lifestyle. Natural disasters and political concerns draw those interested in being prepared for anything to the idea as well. A recent survey showed as many as 1 in 4 Americans have purchased survival gear. Millennials form the biggest group, followed by Gen Xers and baby boomers. 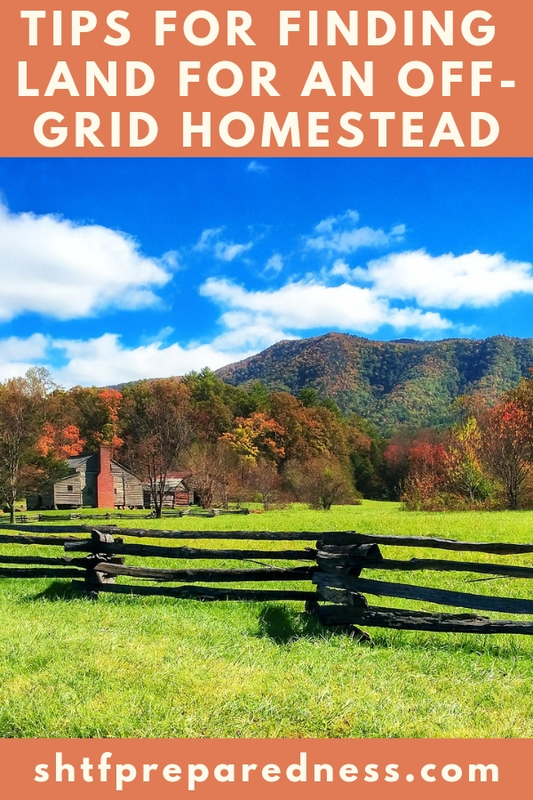 This guide will detail some of the more important aspects to consider when finding land for your dream off-grid homestead. Whether it’s being purchased and built up now, or thrown together in a pinch during an emergency. When erecting a cabin or other home, the first step is making sure a parcel contains the right type of rock and soil. Most experts prefer loam since it’s a combination of soils. When visual inspection won’t reveal soil type, a professional can test the parcel. Consider rocks and slopes regarding issues with stability, erosion, and water flow. If you’re planning to grow crops, you need to consider the type of soil present and how you’d need to approach the growing season. Also important are enough sun, sufficient soil nutrients, and a sound maintenance routine. If you picture raising livestock, the parcel should have enough space for animals to thrive, support grazing, and allow you to grow food for them if that’s your plan. Are native plants available to eat? If you intend to dine off local wildlife such as deer, make sure proper permits are available for hunting and fishing. While this isn’t absolutely necessary for survival in all areas, it can increase one’s quality of life significantly and provide things like heating, cooling, refrigeration, and light. Water could be the source of your electric power. If a parcel lacks a stream or waterfall, you might be able to use an artificial approach such as creating a dam. Solar panels could be a benefit regardless of the geographic area you choose. 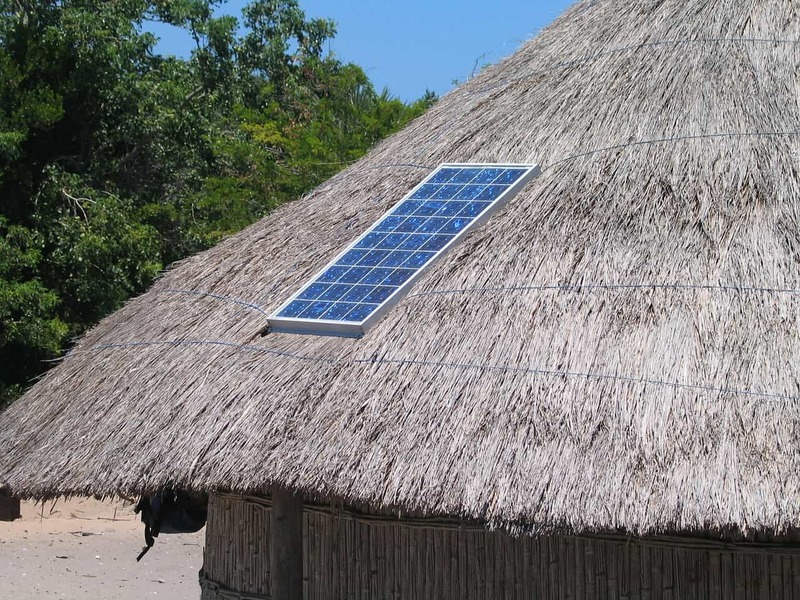 You can also consider harnessing wind power potential to run a turbine that makes electricity to operate a generator. Very few homesteads could exist without good access to water. Many use hundreds of gallons of it each day. A property must offer one of two ways to get it. The first is accessing water under the property by drilling a well. The other alternative is passive rain collection. It’s important to make sure that land grade permits water to flow away from any structures and livestock and to check local restrictions on water rights before implementation. Can you bury waste, or would you need to cart it off the property? Consider the steps you might have to take to keep predators, insects, or other pests away from what you discard. This could mean special fences or accommodations to protect livestock and crops. 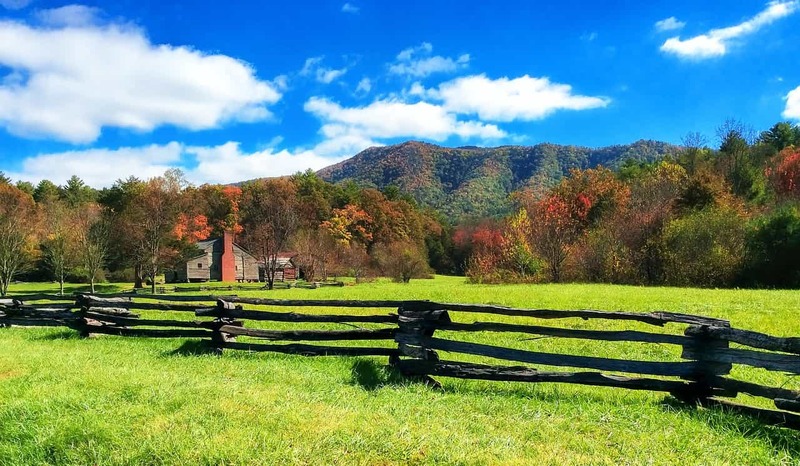 Beyond researching all of the essentials for survival, those finding and purchasing land for an off-grid homestead will likely need to do some research on any potential real estate issues. Now, this probably will not apply in a SHTF situation. But in the meantime, it’s a good practice to avoid headaches. Make sure to verify the ownership history and check potential develop restrictions. Also, confirm that you have all the easement and access you need to live on the property. The last thing a homesteader would want is to be told they are not permitted to use the land in a way they would like to. Or worse, figure out the land they purchased was not actually owned by the one who sold it to them. Doing your due diligence prior to putting pen to paper will prevent costly issues from presenting themselves after acquiring your land.